OFTEC marked 25 years since its foundation at its Annual Conference and AGM, where Chairman Nick Hawkins, Director Commercial Operations at Kingspan Environmental, formally welcomed OFTEC’s new Chief Executive Paul Rose. 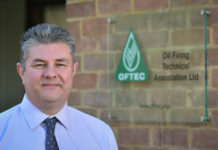 Paul, who is currently OFTEC’s technical director, will take over the post next month, following the retirement of current Director General Jeremy Hawksley after nine years in the job. Speaking at OFTEC’s 2016 conference and AGM at the Hilton Puckrup Hotel near Tewkesbury, Mr. Hawkins claimed, “Over the past 25 years, OFTEC has worked tirelessly to promote the highest standards, championing the industry at both a national and international level. 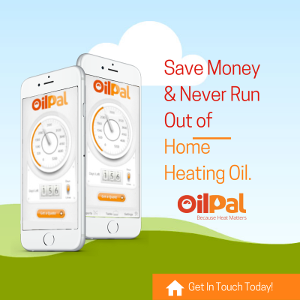 “I firmly believe that without OFTEC, oil heating would be long gone in Great Britain. 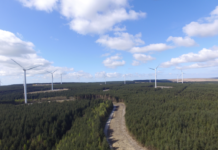 We have risen to some major challenges, most notably a seven year battle with the European Commission to obtain realistic nitrous oxide limits within the Energy Related Products Directive – which we won in 2014. “Another major threat was the government’s ambition to eliminate oil heating by 2025 via the domestic Renewable Heat Incentive. I believe our objections to this seriously flawed scheme, and the more realistic suggestions we put forward to tackle energy efficiency and carbon reduction, have helped reduce the impact of the RHI on our industry. “But we have also been extremely fortunate. The continuation of low crude oil prices has prompted a revival in fortunes with oil remaining by far the cheapest home heating fuel. Last year boiler sales were up 9% on 2014 levels and this April boiler purchases increased by 28% compared to April 2015. We also saw a similar rise in tank sales in 2015. During the past 12 months, OFTEC has expanded its range of registrations which now covers solid fuel stoves, biomass, heat pumps and solar thermal in addition to oil and Part P electrical. OFTEC’s registration scheme has now over 8,500 technicians on the register and is described as ‘growing’. 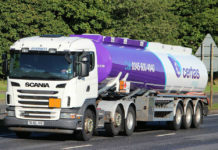 Working with the Federation of Petroleum Suppliers (FPS), OFTEC is also soon to launch a new tank awareness campaign to encourage consumers to look after their tanks and consider replacing the estimated 400,000 single skin models still in use in Great Britain which are over 20 years old and beyond their design life.